A lot of popular tweaks make fair and extensive use of Ryan Petrich’s Activator package, which is currently now available on the developer’s own repo in Cydia, updated in beta form for iOS 8.4. One of the beautiful things about Activator is that it’s constantly updated and developed due to the fact that it’s so ingrained in the world of jailbreaking. Of course, this can act both as a gift and a curse because if Activator is not compatible with a particular version of iOS then it can often render a plethora of additional tweaks broken. Thankfully for users and developers alike, Petrich is one of the most hard working devs in the game and constantly ensures that he’s ahead of things when it comes to dishing out beta versions of the project for public testing and feedback. 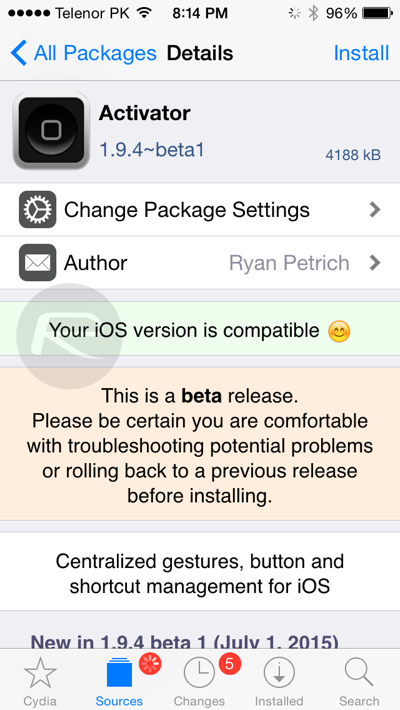 As always with this type of beta release, Petrich is always vigilant in letting users know that the upload on his own repository is classed as pre-release software and that those downloading and using it should not only be aware of that, but also comfortable with troubleshooting potential problems and providing feedback and bug reports where necessary. Once added, the 1.9.4 beta will be available to download as part of the available packages. In addition to offering initial support for iOS 8.4, this latest beta of Activator also introduces a fix for action banners and now displays an alert dialogue to prevent access to Activator APIs from other tweaks and extensions. 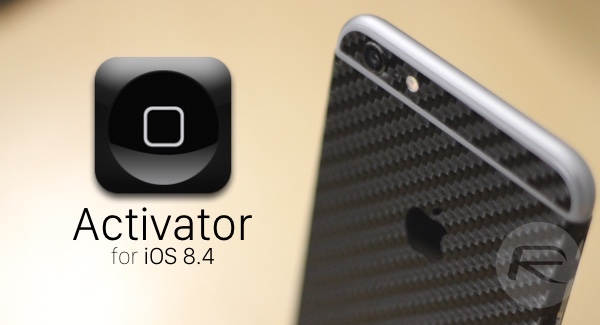 The continuation of Activator isn’t exactly heart shattering, but it offers iOS 8.4 support and should bring a lot of additional tweaks up to date. So, that’s enough, right? Done and it’s working. I am using 3 and 4 fingers pinch for exiting to home and sleep mode. The rest I am not sure.